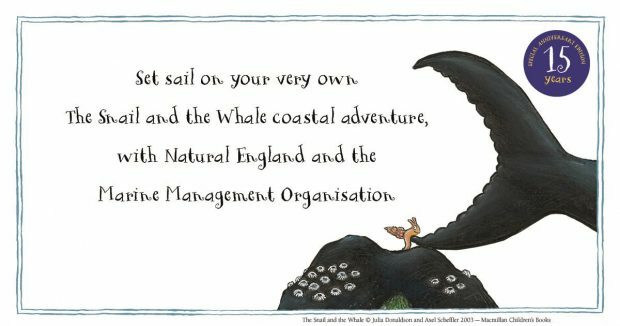 This summer sees the launch of a unique partnership between the Marine Management Organisation (MMO), Natural England and Macmillan Children’s Books, celebrating fifteen years of The Snail and the Whale, Julia Donaldson and Axel Scheffler’s classic tale of adventure and friendship. 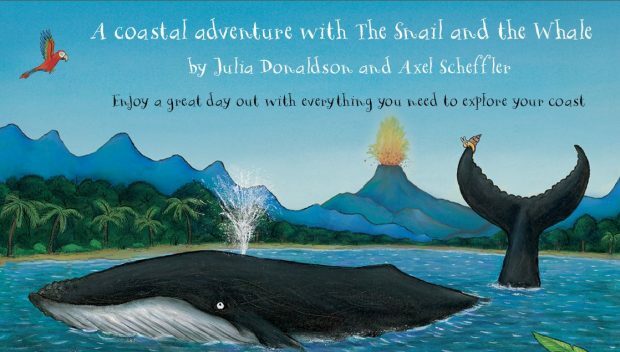 First published in 2003, The Snail and the Whale tells the story of a tiny snail who hitches a lift around the world on the tail of “a great big, grey-blue humpback whale”. Together they go on an amazing journey, past icebergs and volcanoes, sharks and penguins. 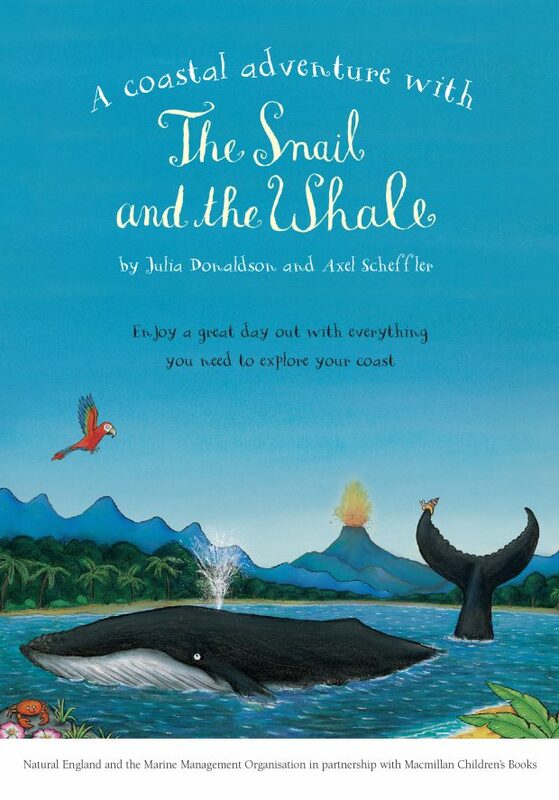 The little snail feels so small in the vastness of the world but when disaster strikes and the whale is beached in a bay, it’s the tiny snail’s big plan that saves the day. 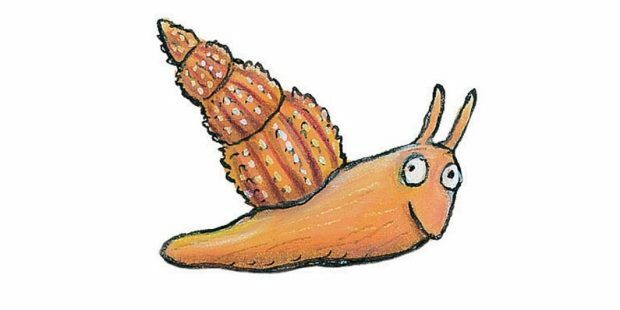 MMO, Natural England and Macmillan Children’s Books, want to encourage families to go on their own big adventures this summer, exploring the England Coast Path and marine areas. 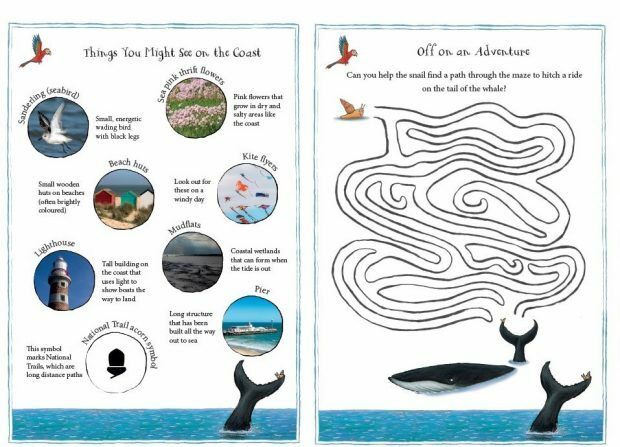 While visitors might not see icebergs, sharks and penguins, with the help of their ‘The Snail and the Whale Coastal Adventure’ booklet they will have all the tools and information they need to explore their coast - from matching animals to their coastal homes and learning fun marine animal facts to advice about keeping our coasts free from marine litter. 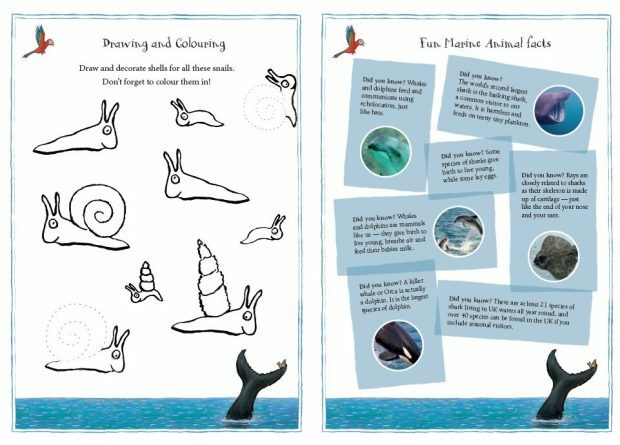 The booklet is available to download below and also at special events celebrating The Snail and the Whale and this fantastic partnership throughout 2018. Remember not to disturb animals: Protected sites and species. Before you visit the coast you should look at the Maritime & Coastguard Agency's Coastal Safety Guide. It's important to remember the Countryside Code. One problem we can all help with is marine litter, particularly plastics. Plastic takes many years to disappear and if it gets into the ocean it can kill wildlife, destroy their homes and pollute water. The England Coast Path will be a 2,700 miles long National Trail around the whole of the English coast. Once completed it will be the longest coastal walking route in the world. It will link up the best existing coastal paths and create new ones where there were none before, as well as joining up with the Wales Coast Path and walking rights in Scotland. Check out the National Trail website for more information. This year the government released its 25 Year Environment Plan. The plan sets out action to help the natural world regain and retain good health. It aims to deliver cleaner air and water in our cities and rural landscapes, protect threatened species and provide richer wildlife habitats. This page is very useful and informative. Thanks for your post and keep posting.